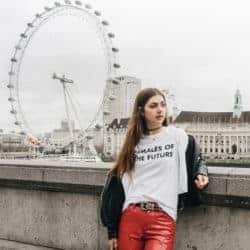 “We should all be feminists.” After the T-shirts with the clear statement were shown on the Dior runway, they made their ways through social media and magazines very quickly. 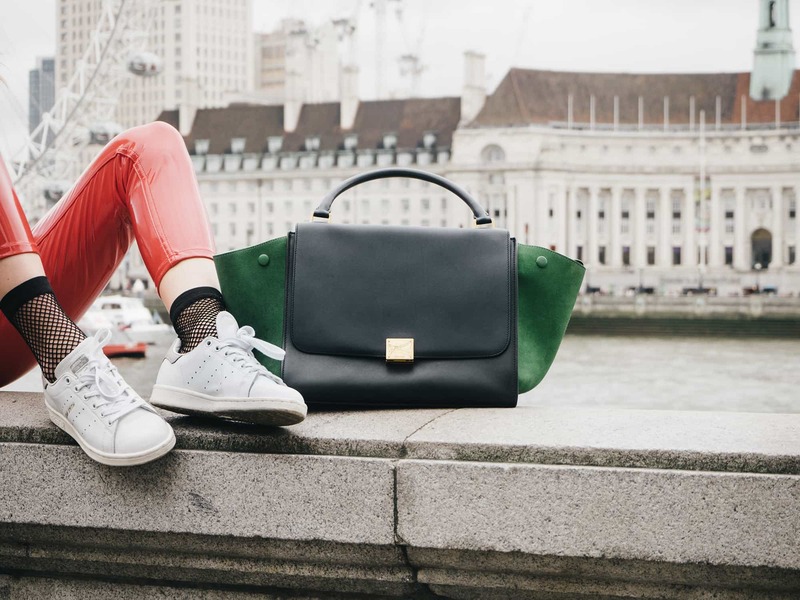 Thanks to Instagram and a lot of influencers, the new attitude of the French couture house has been presented to a very big and diverse crowd. This is the reason why the hashtag #weshouldallbefeminists has already more than 10.000 pictures on Instagram. But it’s not only Chiuri who led a conversation with her T-shirts. 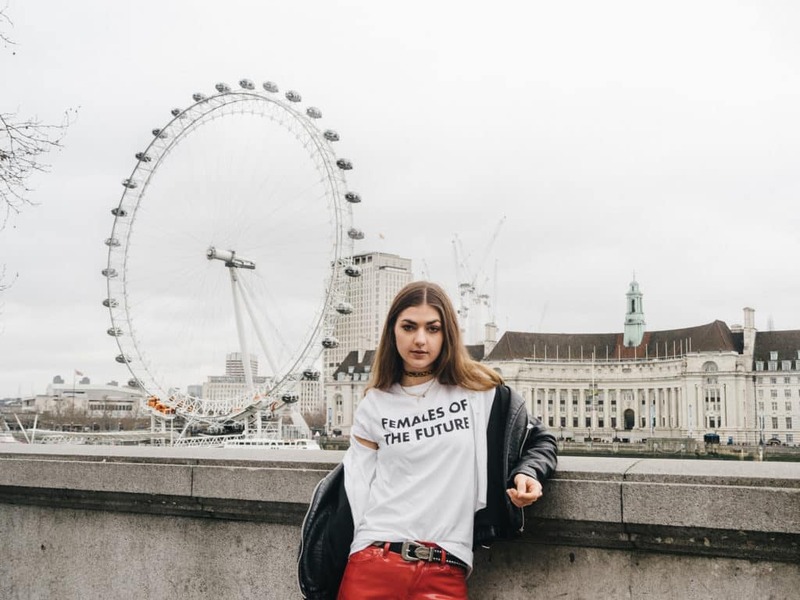 The american designer Prabel Gurung incorporated similar quotes into the latest collection: “We will not be silenced” or “Girls just want to have fundamental rights” are only some examples. 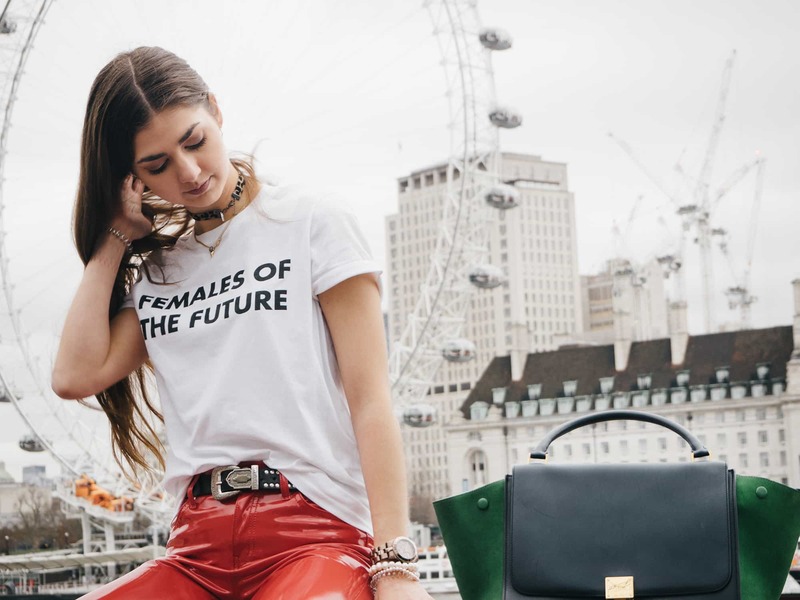 Currently, those slogan tees are especially worn by street style stars – but they are for everyone. 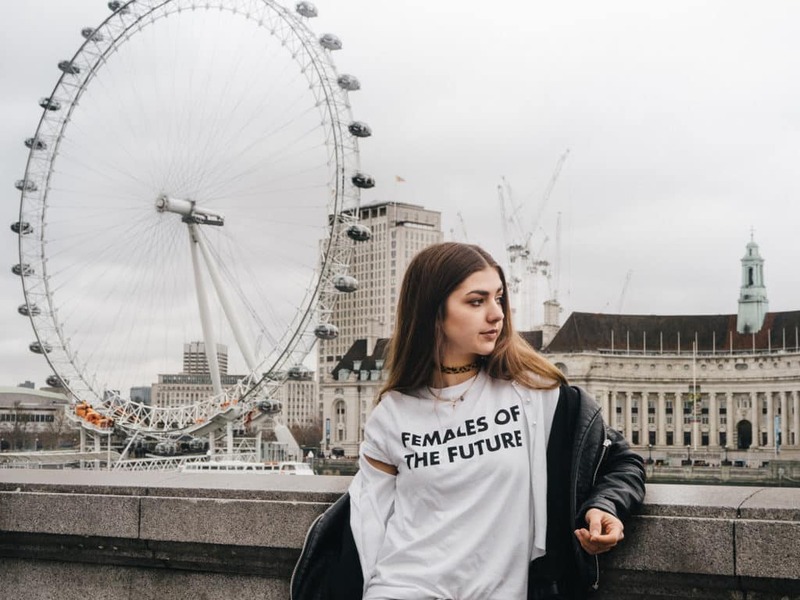 You can even find similar tees at high street shops like Topshop or Zara. And even though those words sound very easy, it’s important to know what they actually mean. It’s not about the empowerment of women only. “A feminist is someone who believes in the social, political and economic equality of sexes”. This is what was printed on the white bandanas, which were placed on every seat at the recent Dior show in Paris. The white neckerchiefs however, are a symbol for the #TiedTogether initiative of the online platform Business of Fashion. 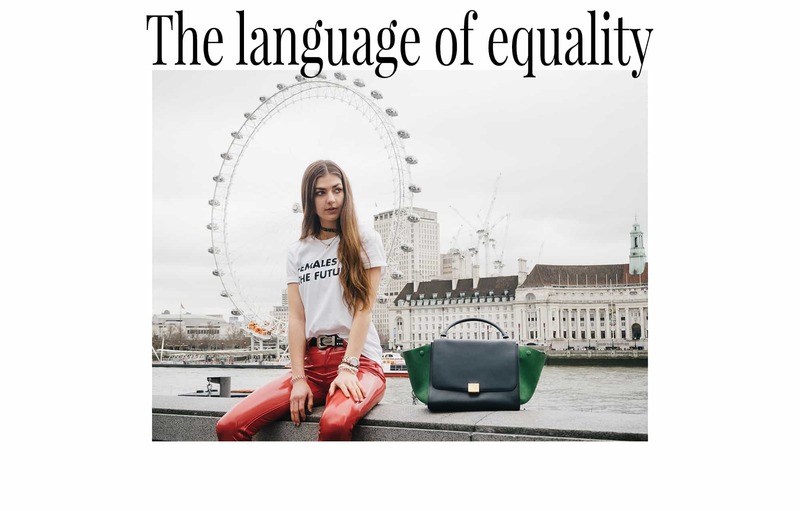 Just as the slogans, they stand for equality and social justice. Ultimately, those statement tees exist to be shown to the world. Even though they were “only” presented on the catwalk in the first place, they can lead to a global change of thinking – this is why Maria Grazia Chiuri set more than just a trend. 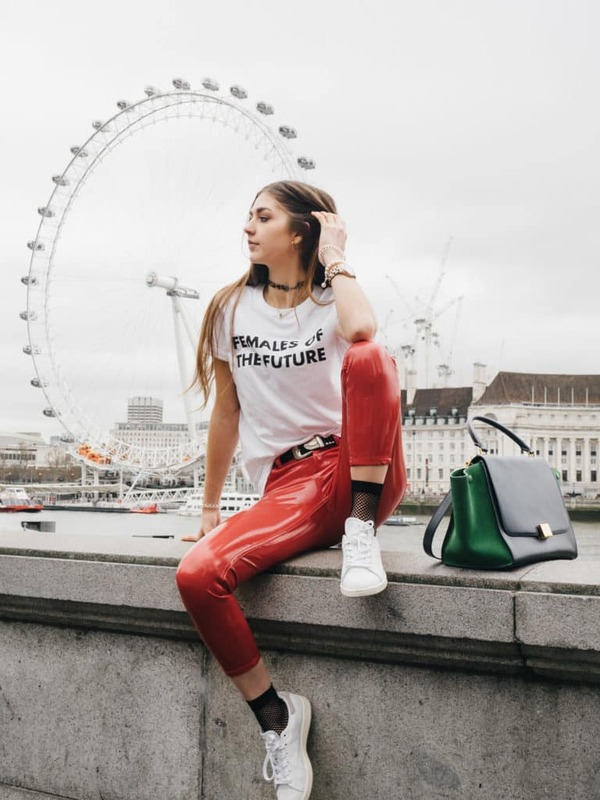 Posted in Fashion & Outfits, London and tagged Accessories, Dior, Fashion, Feminism, Inspiration, Lifestyle, London, Musthaves, Red, Statement, Style, Topshop. Bookmark the permalink. Sehr schöner Look, deine Hose ist ja ein echter Hingucker! love the background in these photos!! Wirklich toll geschrieben liebe Carmen! *-* Es ist toll zu sehen, wie viel sich schon in den letzten Jahren verändert hat. Und wenn wir alle ein Zeichen setzen, können wir vielleicht noch viel mehr schaffen. Oh viiielen Dank liebe Isabel, das freut mich sehr <3 Da hast du absolut recht, sie sind wirklich tolle Eye-Catcher! Das Shirt ist genau mein Ding ! Awesome awesome post babe! I couldn’t agree more!! I love this top! Definitely still a divide in terms of equality. I work in surveying and there are hardly any female surveyors in the industry. I am part of a women in surveying campaign, therefore hopefully this will change. I love the outfit and your pictures are fabulous. Thank you so so much dear, have a great one too! Thank you so much Makyla! I have been loving seeing these slogan tees everywhere. They have such a powerful message! Oh vielen Dank liebe Lisa! Cool t-shirt…I’m all for the t-shirt with powerful statement. Love the photos! dein Outfit ist so cool! steht dir total . Wirklich ein super schöner Look meine Liebe 🙂 und das Thema sowieso! Amazing red pants dear!! I love your outfit! This pants is on my wishlist!! love it so much. Gorgeous!! 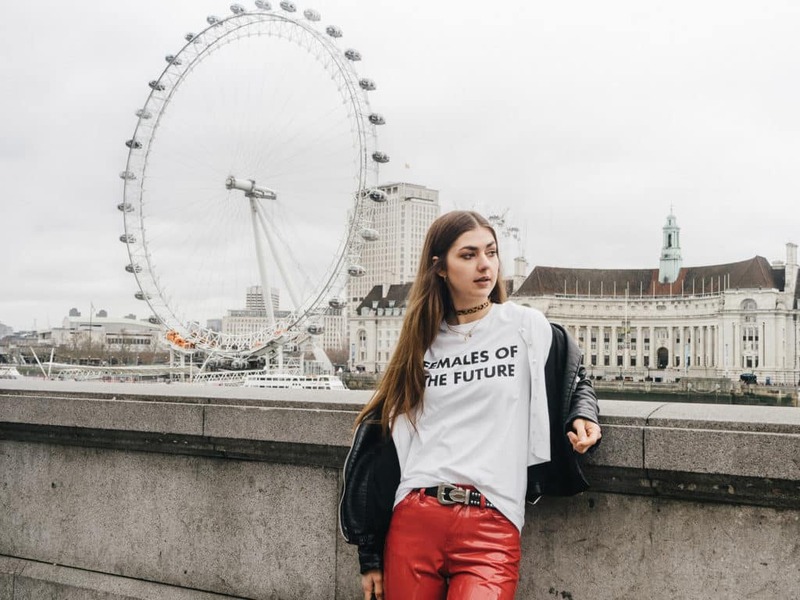 I love that these tees are becoming more and more common, the perfect way to speak out! You styled this beautifully, and I love those pants! Lovely look! 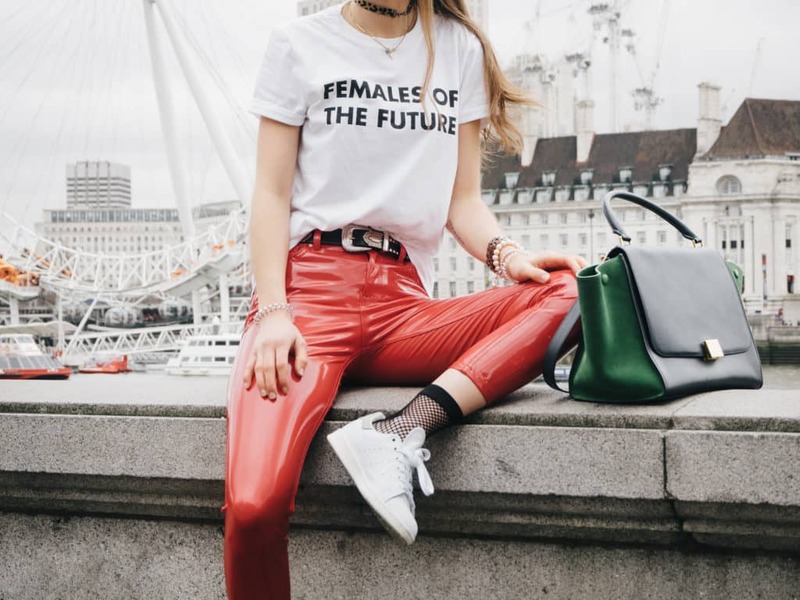 I love how you styled this empowering tee with those edgy red leather pants! You look amazing spreading this message babe! Wirklich so ein super schönes Outfit und wahnsinnig tolle Bilder, meine Liebe! Die Hose steht dir total, du siehst toll aus! Ahhh this is an awesome tee and I love the message behind it! Also, your styling is sooo on point with the colorful pants and fishnets!! Was für ein tolles Statementshirt! Vielen Dank Julia, das freut mich! Thank you veeery much Sofia! Wow, wirklich ein mega Outfit ?. Siehst richtig hammer aus. Das Statement hinter den tshirts gefällt mir und ich finde es super, dass du es ansprichst. Toller Beitrag :). Und dein Look ist ja mal der Oberhammer!! Super cooles Shirt und was ist das denn für ne mega geile Hose!? Echt der Hammer! Die Hose ist der Knaller. Und die Tasche erst! Der Look ist genial liebe Carmen. Ich liebe die rote Hose an dir!